It's back-to-back huge weeks at No. 1 for the two ascendant pop stars behind the 2018 Hot 100 hit "Lovely": After Billie Eilish's blockbuster opening frame for When We All Fall Asleep, Where Do We Go? last week, it's Khalid's turn to top the Streets Talkin 200 this week, moving over 200,000 equivalent album units of sophomore set Free Spirit on the chart dated Apr. 20. 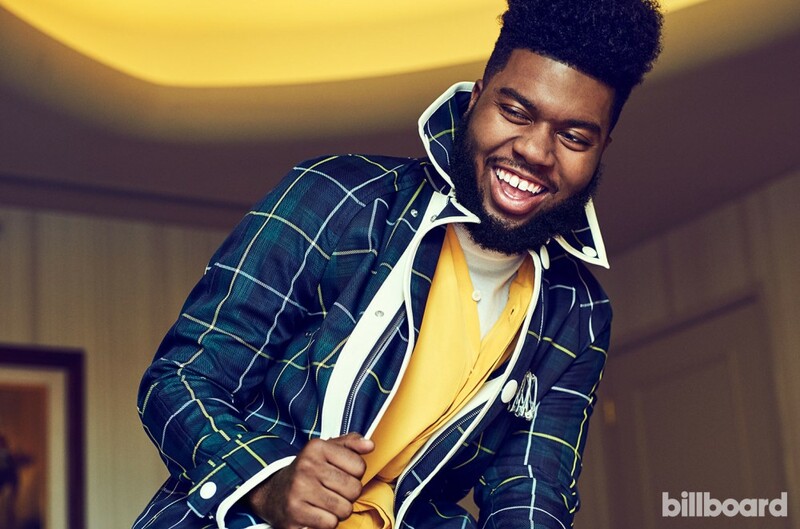 Even with the impressive opening numbers for the 21-year-old Khalid — the best sales week of his relatively short career to date — Free Spirit has drawn some mixed reviews, and has yet to spawn a hit single on the level of his radio-conquering 2018 collabs "Love Lies" and "Eastside." But are those hits still to come from Free Spirit? And how fair is some of the criticism he's received for the set so far? Streets Talkin staffers debate these questions and more below. 1. Free Spirit moves 202,000 equivalent album units in its first week — how happy should Khalid be with that number? Carl Lamarre: I think 202k is a significant number for Khalid. Let’s remember that when he dropped his debut album American Teen in 2017, he bowed at No. 9 on the Streets Talkin 200 with a first week of 37,000. So within that two-year window, he has not only bloomed into a perennial guest-verse star, carving hooks for the likes of Benny Blanco, Calvin Harris, and Marshmello, but a pop titan who is about to head off his first arena tour this June. That's some serious elevation for the youngster. Jason Lipshutz: Very happy, if a little short of thrilled. Khalid has a top 20 single on the Streets Talkin Hot 100, an arena tour coming and a ton of goodwill — he’s a legitimate star whose Free Spirit was by far the most high-profile album issued during the April 5 release week. A 202k first week (with 85,000 in pure sales) is very impressive for a young artist on his second album, if a little short of the superstar debut of Ariana Grande earlier this year, as well as the hype-affirming Billie Eilish bow one week prior. But give Khalid credit for generating enough interest to score a strong No. 1 debut after never really disappearing over the past two years, thanks to several collaborations and single releases. Also give the album’s 17 (!) songs credit for no doubt bolstering those first-week streaming totals. Joe Lynch: Massively happy: 202k is a great first-week number for anyone, but especially when you consider that his debut American Teen didn't hit numbers in that range for any single week, it seems like a huge achievement. Also, "Better" and "Talk" are doing well, but his biggest hit at the moment still comes alongside Halsey and Benny Blanco on radio smash "Eastside" — which isn't even on his album — so moving that number without the benefit of a runaway hit is impressive. And with so much of that sum in traditional album sales, it shows he has a listenership that's not just casually interested. Andrew Unterberger: Solidly happy, though yeah, maybe a little short of ecstatic. That's a pretty big number for just about anyone in 2019 — particularly someone who was still only lightly familiar to pop audiences even this time two years ago. But is it Whoa We Didn't Realize It Was Like THAT big? Not really — not for a 17-song set that's already had four hits on the Hot 100. It's as big as it needed to be keep Khalid's rising star on track, and that's good enough. 2. Of the advance tracks from this set — "Better," "Saturday Nights," "Talk," "My Bad," "Self," "Don't Pretend" — none has really separated itself as the big song from this Khalid era. Does any one of them particularly stand out from the pack to you? Andrew Unterberger: Put me down for "Saturday Nights" as well, which has the kind of secret smile to it that most of the great young love songs do — even if his and Kane Brown's performance of it at the ACMs last week was a little rough. Love Khalid going the anti-streaming-count approach of saving it for the very end of the album, too, where it serves as an unexpected and joyous set capper. Andrew Unterberger: "Outta My Head," absolutely. The Mayer credit will earn it the most attention (and maybe the most streams — it was easily the highest-ranking song from Free Spirit on last week's Spotify 200 chart that wasn't previously released), but really I dig it because it feels most like a spiritual sequel to my favorite song on American Teen, "8TEEN." It's got the same giddy mid-tempo synth-pop groove and let's-go-out-tonight feeling of momentum that generally make Khalid's gentle come-ons so irresistible. And the Mayer guitar break is a nice bonus, no doubt. Joe Lynch: It's absolutely fair. I think it's actually more musically diverse than it seems on first blush — there's a wider sonic and instrumental palette here than some critics have noticed — but the issue is that the delivery and energy level remain consistent throughout. And when an album is an hour and 17 tracks, that's going to get same-y; you need some peaks and valleys in terms of vocal delivery and intensity. We don't get that, and the album suffers for that reason. Andrew Unterberger: I think the sameiness has been overstated: The album does maybe have four or five sonic sweet spots that it kinda cycles between, but even across a 17-track set, that's still pretty diverse for 2019. It is reasonable to say that Khalid is going to have to make a jump as a songwriter at some point — he's still a little better at writing hooks than really telling stories at this point, and his personality can get kinda blurry and obscured as a result — but I don't think we're at the point yet where his albums are wearing out their run-times. That title isn't doing him any favors, though; maybe Coloring Brightly Inside the Lines was already taken? Christine Werthman: How about The-Dream? Or maybe just everyone credited as a producer on Beyoncé's third album, because Khalid needs to find his own Sasha Fierce? But really, I think The-Dream could be an interesting person to start with — he knows his way around the more classic-sounding R&B that Khalid likes, but I think he would put an "-er" on everything: sexier, livelier, hookier, funner, memorabler. Some of those aren't real words, but I think the you catch my drift.